Having trouble finding where to mount another water bottle cage? Look no further, because the Ortlieb Water Bottle Cage is a great way to add extra water to your ride. 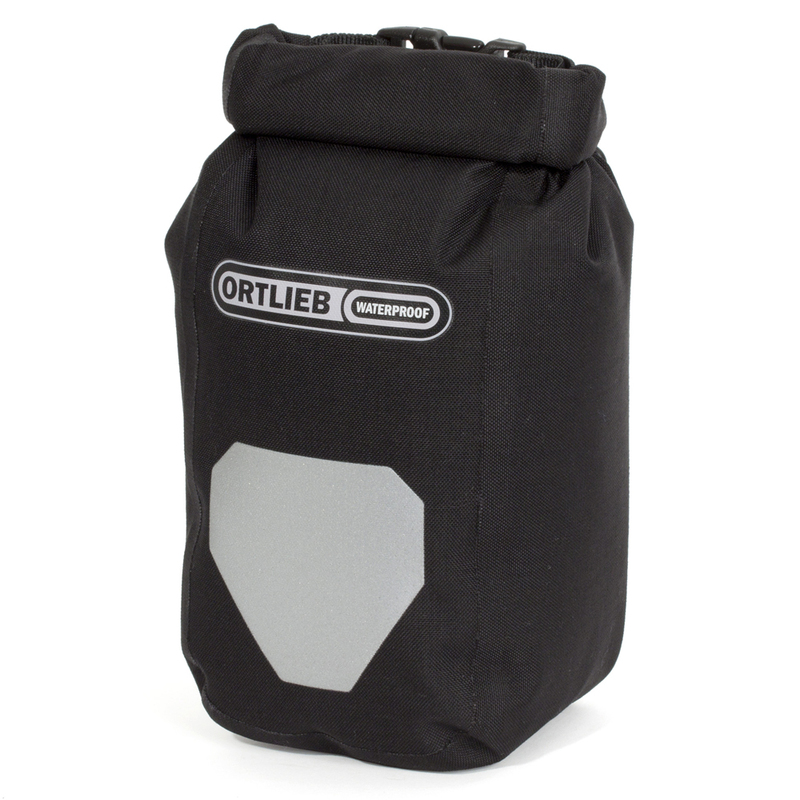 With the same sturdy mounting system as the Ortlieb Outer Pocket and the Ortlieb Mesh Pocket, you can install and remove the Bottle Cage from your pannier at your convenience. Stay hydrated, and ride light with the Ortlieb Water Bottle Cage. I use this bottle cage to carry a 4th water bottle on my touring bike. Works great. I didn't see any advisory in the sales verbiage that the installation of the water bottle cages required a puncture of the panniers. Seeing that I purchased the water proof panniers, I don't want to puncture them. It might be okay as an install, but I just prefer not to do that. I think the sales verbiage should explain that up front. Now I have a choice of taking the loss or returning them with the hassle. I mounted them on my front bags and they worked perfectly. I was concerned about. Them being plastic and snapping together, but once on the bag they worked like a charm Doing the Southern Tier in the Summer you need all the water you can carry on your bike and these fit the bill.